Edit - Congrats to our winner - Claire Maher! Please message me on Facebook with your mailing address. Thanks to everyone that entered. Stay tuned for another giveaway coming up for Halloween! Happy Thanksgiving everyone! 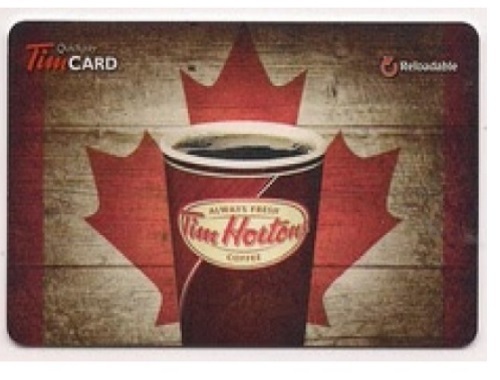 We're giving thanks to all our wonderful readers this holiday by giving away a $20 Tim Hortons gift card! 1. "Like" our Facebook Page so that you get updates on our posts. Contest closes Tuesday, October 11, 2016 at 11:59pm ET. Winner will be contacted via Facebook. Click here to visit our Facebook Page to enter. Thank you so much! Happy Thanksgiving! Entered! Thank you for this chance to win a Tim Horton's gift card! Have a Happy Thanksgiving. Completed all the above :) I've gotta have my Timmies! Happy Thanksgiving to all! I have entered, would be nice to win !! I work nights and it'll help me buy me my treat once a week of a small French Vanilla. Thanks for the giveaway. The winner's name is listed in the post, I usually don't post it publicly on the blog though just on our social media (facebook mostly).